The Bonhams’ 2015 Les Grandes Marques du Monde au Grand Palais classic car sale in Paris during Rétromobile will feature a range of historic automobiles living up to the posh name of this glamorous auction. Nine cars have pre-auction estimates exceeding a million dollar including three pre-Second World War Alfa Romeo 6C cars. Two 1960s Aston Martin cabriolets are expecting to sell for over a million dollars each at the Bonhams auction but only one Ferrari is expecting to sell that well – a rather modern 2007 Ferrari FXX. Pre-auction estimates for the annual Bonhams’ Les Grandes Marques du Monde au Grand Palais classic car sale in Paris on February 5, 2015, expect nine of the around 130 cars on offer to sell for over a million dollars (€850,000) each. Suitably for an auction held during the annual Rétromobile week in Paris, several of the most desirable cars on offer are historic, pre-Second World War automobiles. Italian cars commonly dominate the list of most-expensive vehicles at classic car auctions but at the Bonhams 2015 Paris sale Alfa Romeo, rather than Ferrari, is expected to achieve the best results. Three Alfa Romeo cars from the 1930s are on the list of cars expecting to sell for over a million dollars. 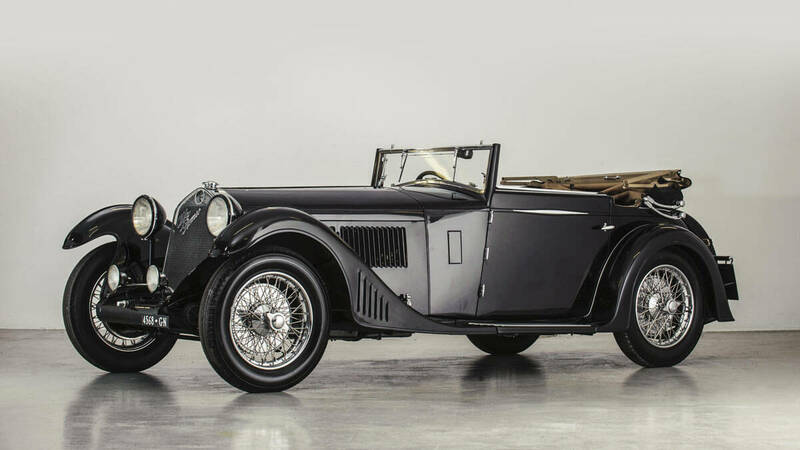 A 1931 Alfa Romeo 6C 1750 5E Serie A Compressor Spider Grand Sport with coachwork by Zagato is expecting to achieve $2.1 – $2.8 million as the most-expensive car offered at the Bonhams Paris 2015 sale. The car was originally owned by Alfa Romeo works driver Giuseppe Campari. 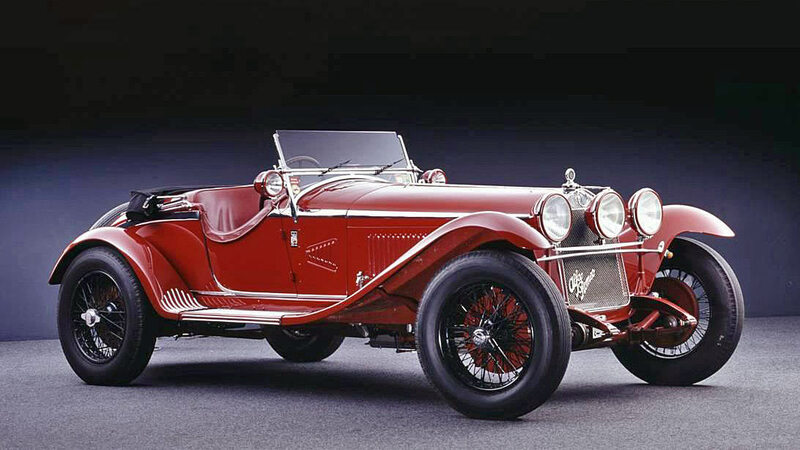 A second 1930 Alfa Romeo 6C 1750 Grand Sport will be on offer with an estimate of $1.4 – $1.6 million. This car with English coachwork by James Young was driven by Boris Ivanowski to a class win at the 1930 Brooklands Double Twelve. A 1937 Alfa Romeo 6C 2300 B Pescara Berlinetta with unique coachwork by Carrozzeria Pinin Farina is estimated to achieve $1 to 1.6 million. However, historically the more interesting Alfa Romeo touring saloon on offer in Paris will be the 1939 Alfa Romeo 6C 2500 Sport Berlinetta used by Mussolini’s mistress that is on offer at the RM Auctions 2015 Paris sale. Bonhams will offer several top British cars at the 2015 Paris sale. Two Aston Martin cabriolets are expecting to clear the million-dollar mark: a 1965 DB5 Cabriolet and a 1962 DB4 Carbriolet. The 1955 Bentley R-Type Continental 4.9-Litre Coupé was one of the most-expensive cars available in the mid-1950s and is expecting to sell for $1 to $1.4 million. The car on offer is one of only five ever produced with coachwork by Carrosserie Franay. The Milan-based Isotta Frachini produced some of the most-expensive cars during the interwar years. The 1930 Isotta Fraschini 8A SS Cabriolet with coachwork by Castagna was a luxury automobile aimed at chauffeur-driven American tycoons. The recent restoration – at a cost of over $800,000 – partly explains the estimate of $1.1 to $1.5 million. The oldest car expecting to achieve a million-dollar result at the Bonhams 2015 Paris sale is the marvelous 1904 Panhard-Levassor Four-Cylinder 35hp Sports Two-Seater with coachwork by Carrosserie Labourdette. Panhard-Levassor was an early automobile pioneer with its cars finishing first and second at the world’s first major car race in 1895 (Paris-Bordeaux-Paris) but with the cars denied the prizes, as they were two rather than four-seater automobiles. The newest car expecting to sell for over a million dollar at the Bonhams 2015 Paris sale is a 2007 Ferrari FXX Evoluzione Berlinetta. However, it will be several years before this car can move from supercar to classic car status. Although Bonhams and RM Auctions are usually expecting to achieve the best result at the Paris classic car auctions in early February, in 2015 this honor will almost certainly go to the 1961 Ferrari 250 GT SWB California Spider (estimate €9.5 to €12 million) from the Baillon Collection on offer at the Artcurial auction.